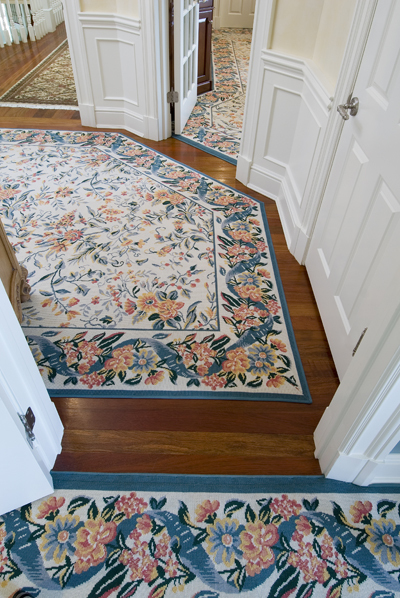 In an architecturally, complex house, there are generally many angles and curves which create a challenge for area carpeting. This fine, French-woven, petit- point, seven color, 100% wool signature carpet from Stark, represents the finest in the industry chosen for this master suite. Needless to say, it requires extensive planning, designing, and with the most skilled crew of installers, dozens of hours of hand-cutting and sewing.